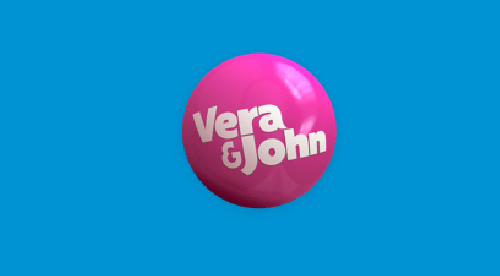 Vera & John might sound like a happily married couple from a quaint village in the Home Counties, but this is actually a formidable online casino brand where the action never stops! This quirky brand serves up a litany of casino games from their colourful site, with an emphasis on speed and the best user experience possible. The quality of their games speaks for itself, with plenty more to recommend this highly revered outfit to new players. A collection of handsome bonuses and promotions is a great start, as is Vera & John’s unique ‘Guaranteed Winnings’ offer. The premise is simple: if nobody wins £5,000 or more during a single day on V & J, as we’re going to call them, they will increase the highest winner’s payout below this threshold up to five grand! And the same principle applies to a monthly £50,000 kitty – so there’s plenty to get excited about here! There are nearly 700 games available to play at Vera & John, split across the traditional categories of slots, table games, jackpot titles and more. The best bit is that these aren’t just any old games selected at random. Instead, the V & J team have carefully handpicked the software providers they want to work with. This is an outstanding library of some of the most critically-acclaimed slots and casino titles available today. In partnering with the likes of NetEnt, Microgaming, Play ‘N’ Go and Betsoft, Vera & John have futureproofed their site to ensure it delivers the very best in online casino action for years to come. As well as the browser site that runs like clockwork across desktop and portable devices, the brand has also released their own dedicated app that works across Apple and Android devices. This features all of the fun and games of their desktop hub, perfect for players who want to spin the reels and roll the dice wherever they go. All of the games available to be played at Vera & John are neatly displayed in a 6x8 grid on the homepage, so locating your faves is a doddle. There are slots of all sizes and persuasions, with some offering life-changing progressive prizes that regularly top the million pound mark. Vera & John stock a fantastic selection of table games from roulette and blackjack to baccarat and casino hold ‘em. And if you prefer to get your casino kicks in a more immersive fashion then don’t hesitate to fire up the live casino. This features real-life croupiers dealing the cards and spinning the wheel in a working casino environment!